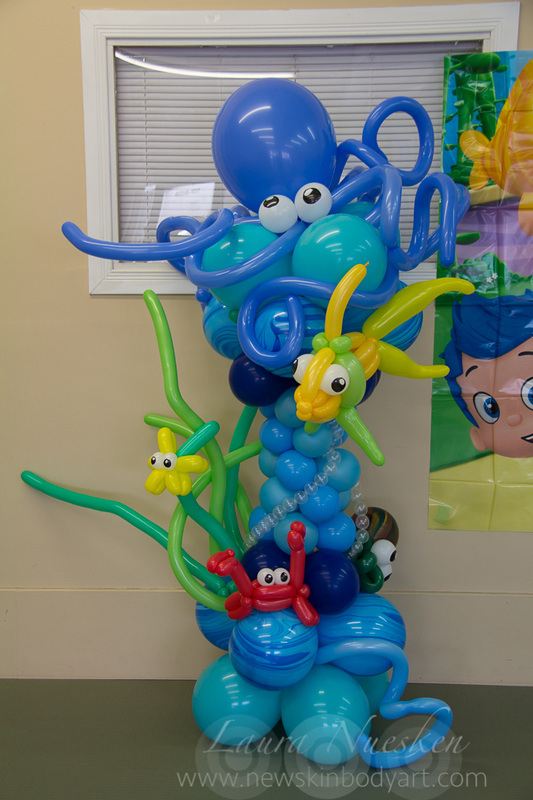 Balloon Decoration & Center Pieces - Face The Colour- Balloon Art and Decor, Facepainting and more! The Gallery below contains images of balloon decorations that I have come up with as ideas as well as images of balloon decoration that I have made for events. 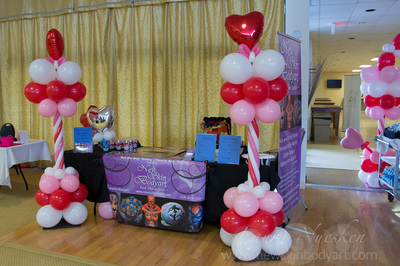 The possibilities are endless, please contact me to discuss your ideas for your next event. 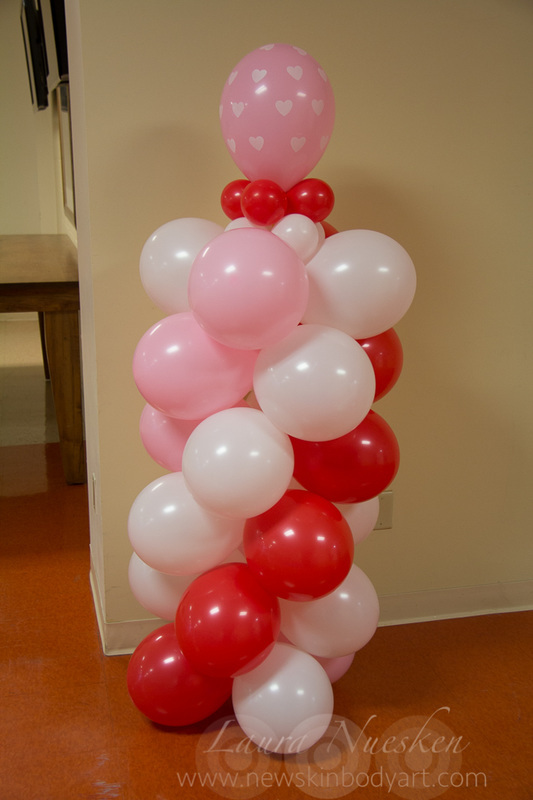 Balloon columns come in two sizes. 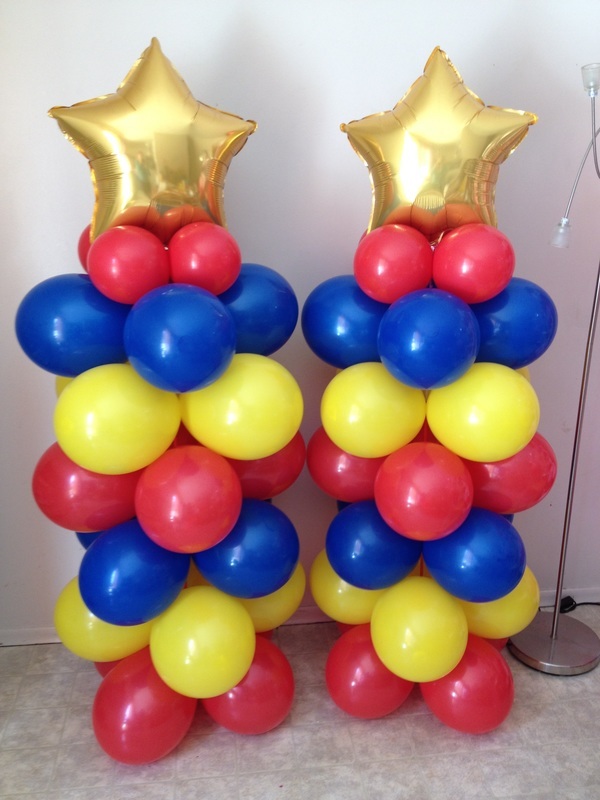 The large columns (6' - 7' / 180- 200 cm) start at 50$ Can and the small 5' ( 150 cm) columns start at 35$ Can for up to 3 colours. 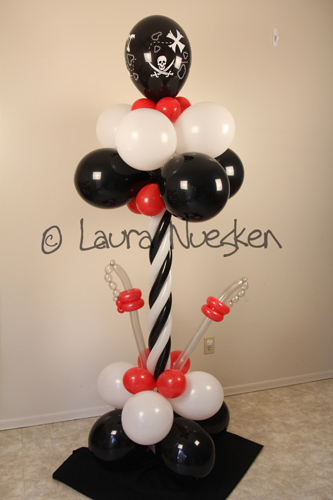 Prices depend on the style, intricacy, pattern and balloon topper chosen for the column. 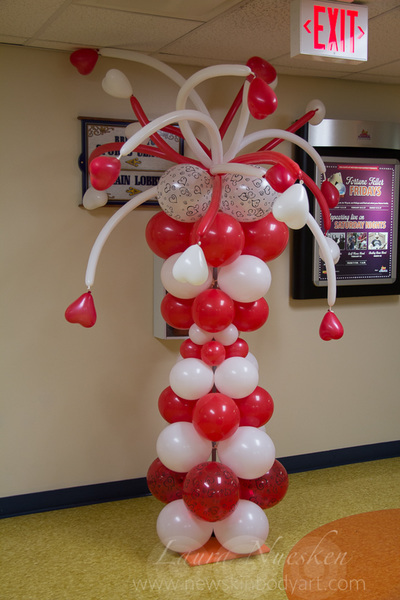 Additional charges will apply for special and printed balloons (e.g. 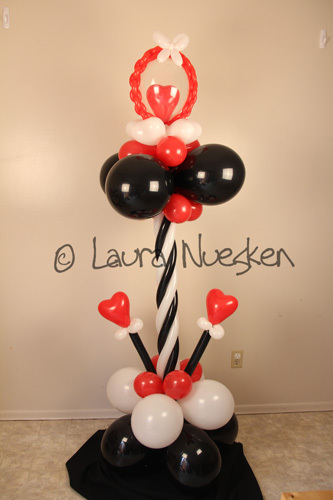 multicoloured, hearts, polka dots, pirate print) as well as for 4 or more colours. 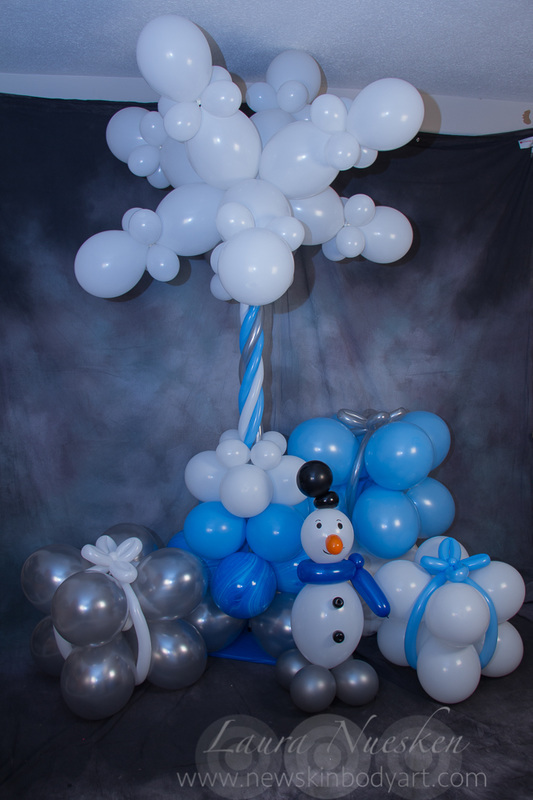 The prices shown in the examples below are listed to give you an idea in cost and design but are not to be taken as exact. For Halloween 2012, The Tea Haus inside Covent Garden Market in downtown London, ON, asked me to create Balloon Sculptures to decorate their store. 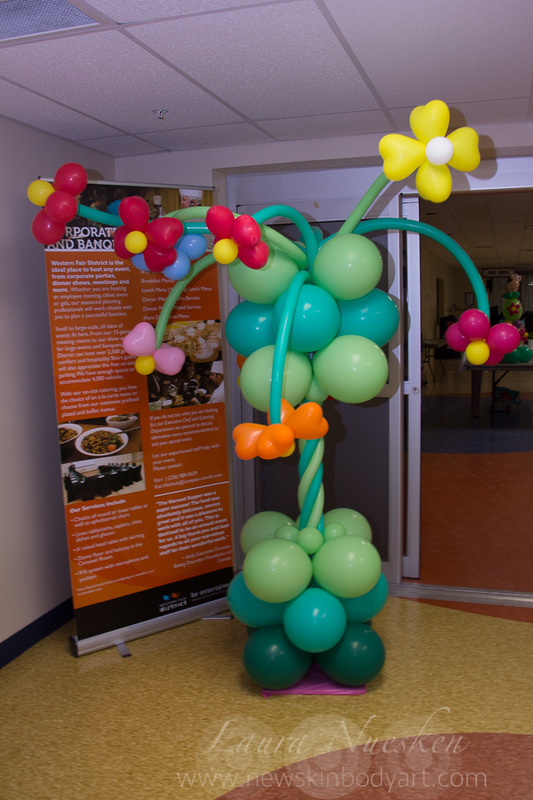 Have a look at how great it looked. 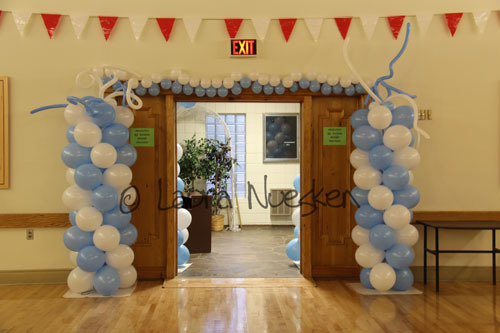 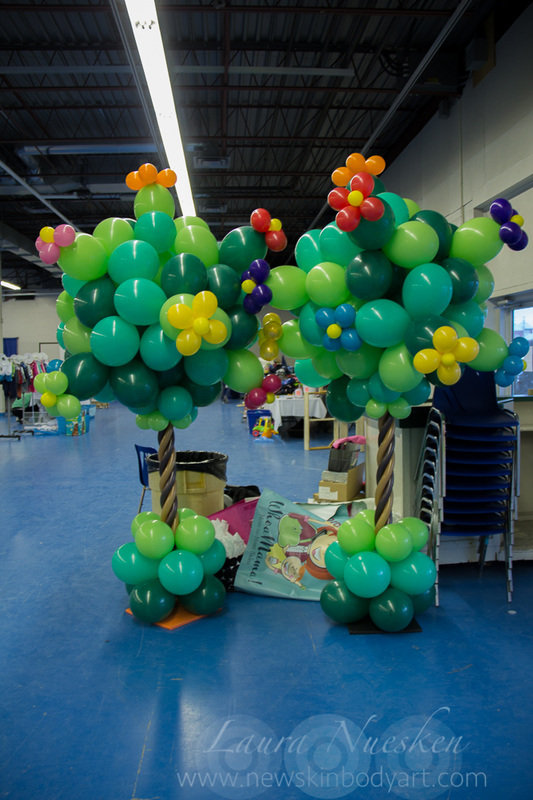 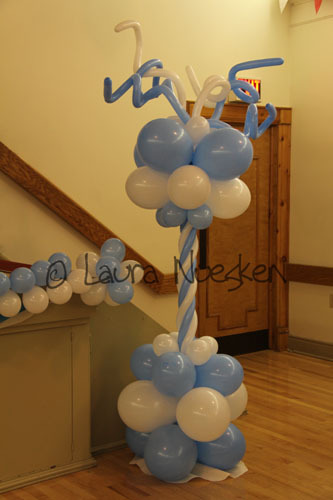 In October 2012, I had the possibility to decorate the German Canadian Club in London, Ontario, Canada, with my beautiful Balloon Creations for their annual Octoberfest event. 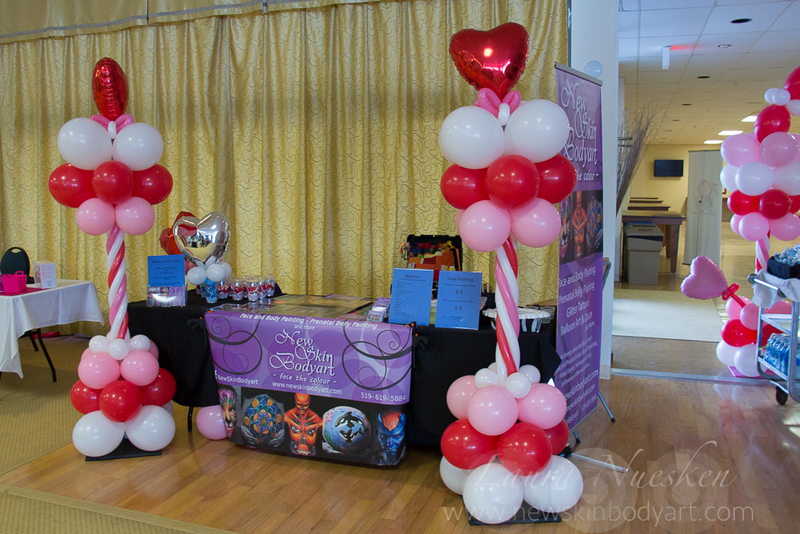 Please, click on the button below to view the album.